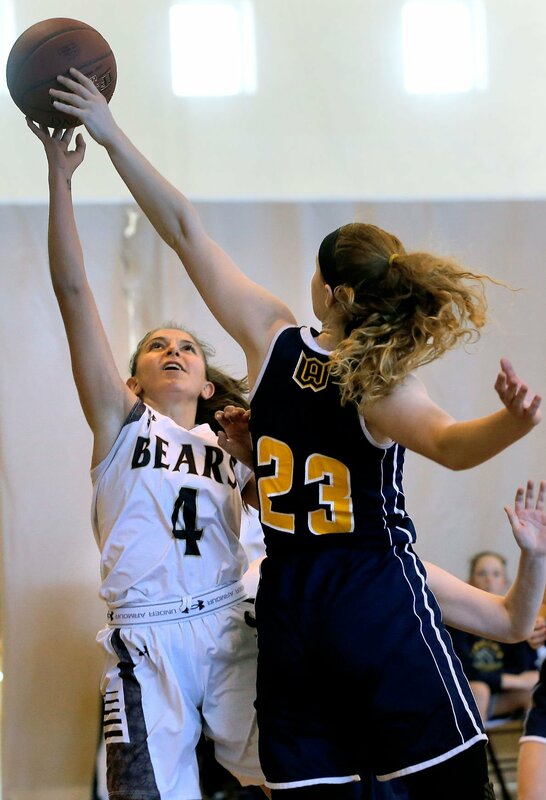 STONINGTON — Aliza Bell and Miranda Arruda scored 12 points each as the Stonington High girls basketball team defeated Woodstock Academy, 50-34, in an ECC out-of-division game Saturday. Bell also had nine rebounds as the Bears earned their eighth straight win since a loss to New London on Jan. 12. Kate Johnson added nine points and seven steals, Zoe Ribeiro had eight points, and Izzy Yarnall finished with seven points and eight rebounds. Stonington led 29-14 at the half. Stonington (16-3) next travels to Bacon Academy on Monday for a 7 p.m. game that closes the regular season. Stonington is 7-0 in ECC Division II and has already clinched a share of the regular-season title. The Bears can win the title outright with a victory against the Bobcats, who are 6-1 in the league.